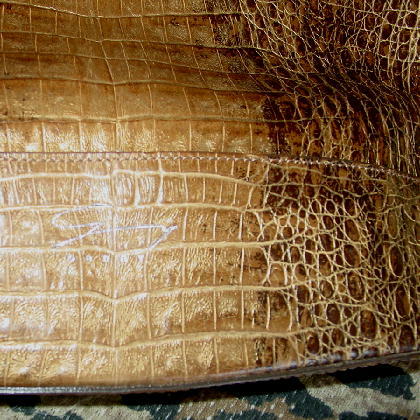 This leather vintage Genny purse has an embossed alligator pattern in light and dark brown and light and dark gold. The lower front center has Genny in silver-tone printed and written lettering. 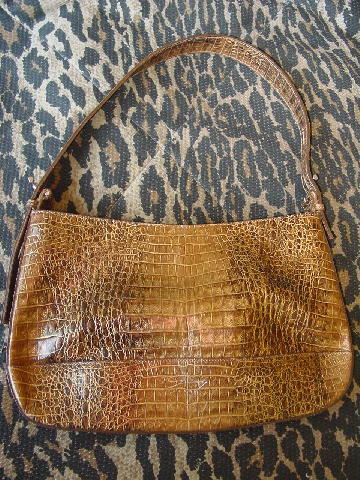 It has a recessed (1 1/2" down from the top rim) side to side top zipper closure. The lining is in a wheat color with Genny all over it. 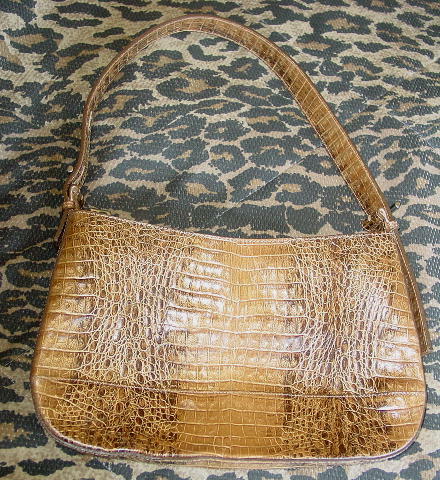 It has a large lined interior back zippered compartment. There is a 22" by 1 1/4" strap with a silver-tone metal bar on each side with Genny etched on each front. 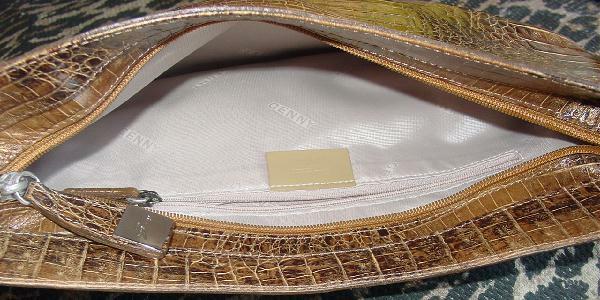 It was made in Italy and there is a leather zipper pull with a silver-tone metal square with Genny etched on it on both sides. The Genny company was founded in 1961 by Arnoldo Girombelli, who also founded Byblos and Complice. While its clothes and accessories are not as well known as some of the other European fashion houses, Genny has counted many of the top designers in the world among its employees over the years, including Guy Paulin, Claude Montana, Richard Tyler, Christian Lacroix, Gianni Versace, and Josephus Thimister.